Even though Conan O’Brien might be having a hard time holding down a job on late night TV because of ratings, there is one place that Conan has one of the top ratings in the world – and that is on Twitter! According to the The Hollywood Reporter, within three hours of his first official tweet, O’Brien’s on Wednesday, his Twitter page had already attracted more than 100,000 fans. With new followers signing up every minute, his feed will probably hit the half-million mark soon. 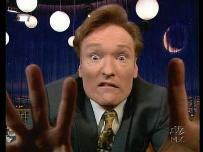 One thing that Conan O’Brien seems to be the master at is the hilarious one liners. And when it comes to Twitter’s 140 character limit per post, Twitter might just be the ultimate platform for O’Brien!